On February 9th former super welterweight title challenger Erickson Lubin (19-1) will return to the ring against former champion Ishe Smith (29-10). The fight takes place in Carson, Calif. and will be televised on Showtime underneath the Gervonta Davis-Abner Mares main event. 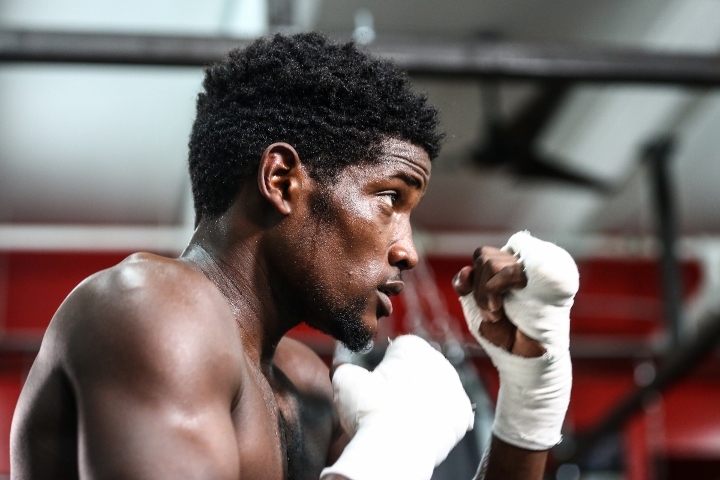 The 23-year-old Lubin is currently in the middle of his training camp down in South Florida at Kevin Cunningham’s Camp Cunningham Gym. This will be their first fight together. “Training camp is great. I got with Kevin about two months ago. Kevin is a great trainer. He is real, real good with southpaws as his history speaks. He took Devon Alexander to the mountain top and he also took Cory Spinks to the mountain top and I am real confident that he will take me there as well. Training camp is great. I am in shape and ready to go now,” Lubin told BoxingScene.com. Smith is coming off back to back losses against current WBC super welterweight champion Tony Harrison and top contender Julian Williams. Even though he lost, he performed well in each of those fights. Prior to that he had won 2 fights in a row. Lubin was a highly decorated amateur who forgo the 2016 Olympic games and opted to turn pro instead. His pro debut took place in 2013 and his first shot at a world title took place in October, 2017. Lubin was caught cold in the first round by then WBC super welterweight champion Jermell Charlo. He returned to the ring last April when he stopped Silverio Ortiz in 4 rounds in El Paso, Texas. The loss hasn’t effected the Florida native’s confidence. He believes that he is the best in the division and feels that with the team he has in place that he will prove that he is an elite fighter. “I had a little setback with the Charlo fight but I feel like just that little time I took off I just matured. I had to find myself with maturity. I feel that I am the most skilled in the division but you also need maturity and there are a lot of other key things you to need to become the actual best. That is what I have been working on, getting my mental right, getting prepared for a big card like this and my training has been speaking for me. Everything is on point, especially being with a Hall of Fame trainer like Kevin,” said Lubin.